Holberton - Page 8 of 9 - Read about Holberton, a project-based and peer-learning alternative to college to become a highly-skilled Full Stack Software Engineer. Holberton - Page 8 of 9 - Read about Holberton, a project-based and peer-learning alternative to college to become a highly-skilled Full Stack Software Engineer. The security of a system is equivalent to the security of its weakest link – to build a secure system you need to understand the general interactions between its building blocks. Bring your laptop and an ID. Important: We will check IDs at the entrance. You will not be able to enter the school if you are not on the list. Nicolas is the co-founder and CTO of Ledger, a startup designing Bitcoin hardware wallets and other auditable, open and secure Personal Security Devices. He has been involved in the embedded security industry for more than 15 years as R&D engineer, and independent consultant for major industry players; CEO and CTO of several startups. He built the most cost efficient FIDO U2F Security Key implementation with his team, is passionate about optimized code and well implemented security protocols, tries to push for more open standards at every possible opportunity. Also, he is not afraid of nudging closed objects into being more open when diplomacy fails. Achievement unlocked: Holberton School is ready! After months of work we are happy to share pictures of Holberton School in San Francisco, ready to welcome our first students. We celebrated the milestone by organizing an opening party with students, parents, mentors, investors and friends who helped prepare the space. We got a lot of positive feedback and most of our guests told us: “it looks even better than on the pictures!”. We paid attention to every detail; worked hard to come up with a design that feels welcoming and not nerdy, as we believe that you do not need to be a fan of science fiction to become a great Full Stack Software Engineer. A BIG thank you to Julien Cyr, the genius brain behind the design of the space, to Guillaume Salva, the master Chef of the party, to Guillaume Lesur, who designed and built the network and to all our friends and mentors who helped us set up the space. Thank you everyone for making this possible. And for those who were not there for the party, come visit us and say hi when you are around Battery and Pine! Hurry up! Only a week left to start your application for the inaugural class. We are very proud to welcome Nicolas Bacca to the Holberton School mentors team. Nicolas will design and lead the IoT security track at the school. Nicolas is the co-founder and CTO of Ledger, a startup designing Bitcoin hardware wallets and other auditable, open and secure Personal Security Devices. He has been involved in the embedded security industry for more than 15 years as R&D engineer, independent consultant for major industry players; CEO and CTO of several startups. He built the most cost efficient FIDO U2F Security Key implementation with his team, is passionate about optimized code and well implemented security protocols, tries to push for more open standards at every possible opportunity. Also, he is not afraid of nudging closed objects into being more open when diplomacy fails. The IoT design, privacy and security journey at Holberton will let you peek at interesting things happening at the bottom of the software stack, in this mysterious realm where you just can’t throw more RAM or servers at problems to make them disappear – what powers modern embedded systems such as the Nest, how your data is collected and protected in a network of connected objects, and how to recognize and implement good security and privacy practices. You’ll build your own Open Source FIDO U2F Security Key from an open development kit that you’ll use to secure your Google, Github or Dropbox accounts even if your password is “Holberton1234” (*), then break your neighbour’s security and fix yours. You’ll acquire solid field experience to make educated decisions, kick broken designs before they get a chance to get implemented and sleep better knowing you helped making your favorite Agency job more challenging. Today we are proud to announce 14 new Holberton School mentors, including Jerry Cuomo, Fellow and CTO at IBM, and Fabien Potencier, founder of Symfony and currently CEO of SensioLabs and Blackfire.io. They join our already impressive list of 81 mentors. Mentors are the backbone of our school, giving students a great way to network, gain insight into the “real world” and get some great projects. They create many of the projects for our students, interact with them as well as with other mentors to make the school reflect the creativity, innovation and working demands of building great software in the real world. We feel very proud and honored to have such amazing people joining us today. Please join us to welcome them to the Holberton School family! Interested in becoming a mentor at Holberton School? Join us! Today, we are very excited to open Level 2, the last technical Level of the Holberton School application process. If you have completed Level 1, you should receive an email from us very soon (expect an email before Nov 1st). Many thanks to our reviewers and beta testers who spent countless hours with us, improving Levels 1 & 2: Ashlynn Polin, Lamia Himdach, Vanessa Rigot, Katya Kalache, Sophie Rigault Barbier. In a few days, we will open the Level 2 of the admission process. During this last technical level you will learn the basics of the Linux command line, and how to build your own website, from A to Z. You will also start to interact with your peers: get to know each other, help and get helped. This is not mandatory at all, but doing those two tutorials will permit you to better prepare yourself for Level 2, and better help your peers. If you haven’t finished Level 1 yet, today is the best day to get it done! Today, we are proud to announce that we are now the first school in the world to deliver our certificates in the Bitcoin blockchain. Storing our certificates in the blockchain will simplify the verification process by employers, and help fight against fake certificates and false resumes. Every Holberton digital certificate will be issued in a secure environment, 256 bits encrypted private key and 2 factor authentication to access the interface that will generate, sign and and insert the certificate into the Bitcoin blockchain, making the certificate’s content sealed and tamper-proof. In addition, each graduate will be given a paper certificate, and a Digital Certificate Number (DCN). This DCN can be included on resumes, so that any employer can easily verify the validity if the certificate. This is all made possible by the technology developed by Louison Dumont and his team at Bitproof. 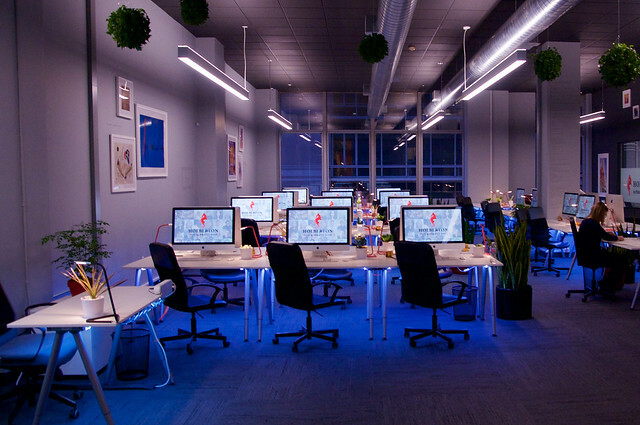 It’s been 3 weeks that we have announced Holberton School. Three incredible weeks where we have witnessed the first candidates register and start the application process. You have been more than 1000 candidates to start the application process, reading your first Linux manual and decoding encrypted texts! Sylvain (who is now called Morpheus by our candidates), Rudy, our mentors and I are really impressed by the quality of the applications.